While Veggies Tales was last performed in 2010, the show is no longer playing in Branson, Missouri. Grab the kids and get ready for a musical adventure the whole family will love at the VeggieTales Live performance in Branson. This summer, Bob, Larry and their friends are back and ready to share their love for music and God in the God Made You Special tour. Join them and their crazy antics for an evening of laughter, songs, and praise. You'll be hopping to your feet to sing and dance with your little tykes and the vegetable characters throughout the show. Bob and Larry come to the Mansion Theatre in Branson this June through July for an incredible performance. The show lasts approximately ninety minutes and is 100% kid-friendly. The Mansion Theatre is equipped with a full-service concession stand, to suit your and your kids' hungry appetites. There are two seating options, as well. The floor seats are the best deal, for an up-close interaction with your favorite VeggieTales characters, or sit higher up in the elevated balcony seats. Join in with Larry as he sings his Silly Songs, including “His Cheeseburger,” “Love My Lips,” and “The Hairbrush Song.” Valuable lessons express individuality, faith, and respect among other messages through an extraordinary and unique series of songs and stories. VeggieTales is known for their retelling of Biblical stories. The stories reach to children by tying in humorous references to pop culture and adding a mix of comedic, “silly,” songs. The vegetables and fruits that star in the series are recognized by children and parents across the nation and always have a unique way of telling their stories. The series started off as a thirty-minute television show and has progressed far beyond that throughout the years. 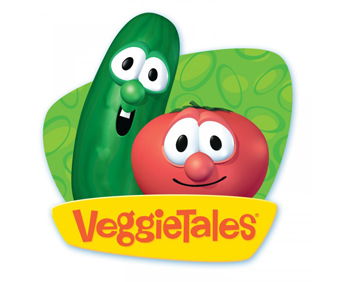 Movie and book spin-offs were created as the show took off, and CDs, toys, clothing, and even garden seeds have been branded with the VeggieTales logo and characters. This summer, the vegetables come to life in this incredible performance on stage in Branson. Recognize some of your favorite songs, like “The Hairbrush Song,” and learn some new ones in a different storytelling experience. Bob and Larry join their friends for a night of incredible and insightful messages both you and your kids will love and learn from. In the God Made You Special tour, the gang tries to solve the mystery of the Silly Song Swindler, who has stolen one of the beloved VeggieTales silly songs. The show is full of energy and laughs as your kids try to help the vegetable characters find the thief. With great music, valuable stories, and more, this performance is bound to serve as an entertaining reminder that God made you special and loves you no matter what. Your kids will love dancing and singing to the music and pointing out clues to help find the mysterious thief, and you will be right next to them, sharing in the delight throughout the entire performance. Very cute! Grand kids loved it!